I know what you’re going to say. It’s going to go something like this: Ben! Don’t you know email click, and email overall is dead? Well, you’re totally wrong. Even millennials are still loving email. According to Adestra, 73% of all the millennials in the world prefer a brand to contact them via email. Wow, that’s impressive. So email is still handy, what a relief. But how do you make it work for your company? I was experimenting with a few different ways to email our customers and subscribers and I was getting totally stuck. 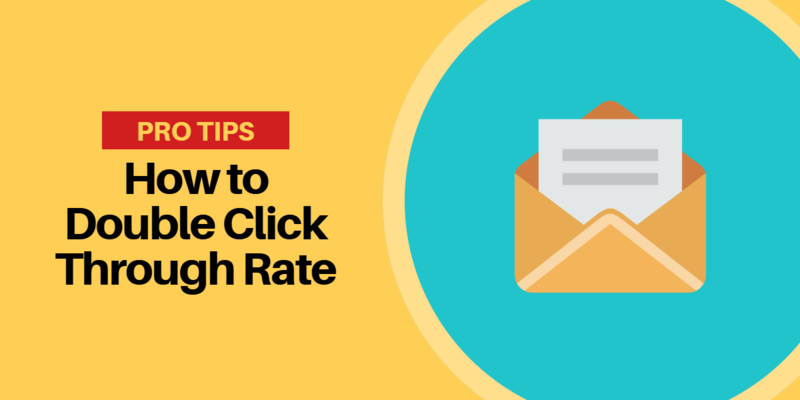 No matter what I was changing I was still getting a 2% clickthrough rate. Yes, the open rates were changing based on the title and the number of emojis I was using in the subject line… ??? But nothing else was changing! Wearing a taco shirt and working on the beach…. … it seemed to work for Noah Kagan! So nothing really worked until one day… drum roll, please! I decided to actually use a template for my emails. I’m not talking about a design template that you can get from your email software. I’m talking about a content temple, the strategic way that you decide which content goes where. I decided to use one from the classic marketing masters – Neil Patel. Let’s increase our email click! You go to a marketer’s site and put in your email. The first email you receive is a welcome email, it has links to the guys free content. Great! You think you can really learn something from this person. The second email you receive is about an online course he is selling. The third email is about his product, the fourth – a discount to the course. The fifth – the last deadline to the course. The sixth – super last minute discount if you still want to sign up… barf. ? You go on a marketer’s site and put in your email. The first email is a welcome email. The second email has priceless content that you find valuable for your company or career growth. Your read the email and read the article that it was linking to. The third email has more awesome content. The fourth email has a product that relates to the content. The fifth email has some more awesome content. The sixth email is a case study or an interview with another marketer – and you guessed it, more awesome content. ? The key word here is ‘awesome content’. Neil Patel is a master marketer and he knows that people want to get value from you and your brand before they buy anything. His guides are perhaps the longest in the biz. He writes 20,000-word guides. That’s insane! But that’s how he gets so much traffic, people share his stuff because they know that it’s the most comprehensive. Great, Neil’s content is impressive. But how does he structure his emails? It has waaaaaaaaaay too many words. I can’t get the entire point of the email unless I scroll for a few minutes. Neil Patel’s email, by contrast, was super short and to the point. I knew exactly what he was trying to have me read on his site, and I was intrigued. Right away I noticed that Neil only put 3 links in his email and one of them was an unsubscribe link. So really he had 2 links. This really works because there is nowhere else for me to go, I can’t read anything else. I can’t just sit there for ten minutes and read a long email. It’s kind of like overselling. When you oversell the customer feels overwhelmed or in this case they might feel that they already learned everything about this email. Did you notice that Neil uses the words “just copy this” and “just follow these steps and you’ll be fine”. He brings it down to the beginner’s level. Use action words. Make the reader feel that your tips are super easy to follow, easy to replicate, and will greatly improve their business. Again, the more comprehensive your post is the better. I see a lot of marketing/social media blogs out there that have very complicated articles and use a lot of technical jargon. If a post has the beginner in mind and also incorporates some more advanced tools and tips then I immediately have respect for it. Do you feel stuck in your content marketing efforts? You realize that content is important but you don’t know how to do it right? We spoke to the director of content at Capterra, and he gave us a point-by-point strategy. You can bang your head against the wall or just do this. Before you publish your next blog post read this. The open rate stayed the same, I can’t change the audience over night. But the click through rate doubled from my average. It went from 2% to 4%. Don’t laugh! That’s just from one format change! Slowly over time through using this new strategy and keeping every thing simple I grow our email list and dramatically improve the open rate as well. What do you think? What email strategy have you used to improve your marketing efforts? Please share with this in the comments!